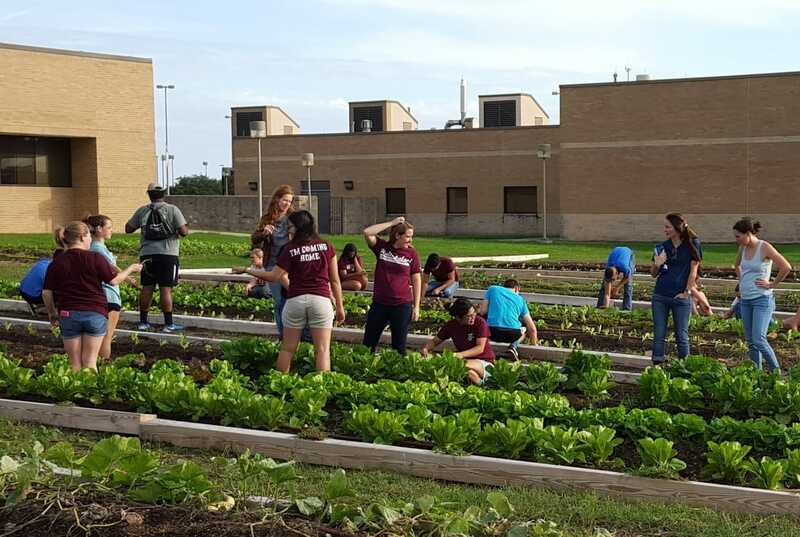 ​​The Howdy Farm provides volunteer opportunities for members of the campus and community interested in learning about sustainable agriculture. No prior knowledge or experience is necessary. The Howdy Farm is a dynamic environment, constantly growing and changing- quite literally. Each day on the farm is different. Volunteer activities encompass a wide range of tasks from planting to harvesting and everything in between. If sweating in the heat is not your thing, there are plenty of other ways to help out such as selling at the farmer's market, contributing to our blog, assisting in data collection, taking pictures, etc. 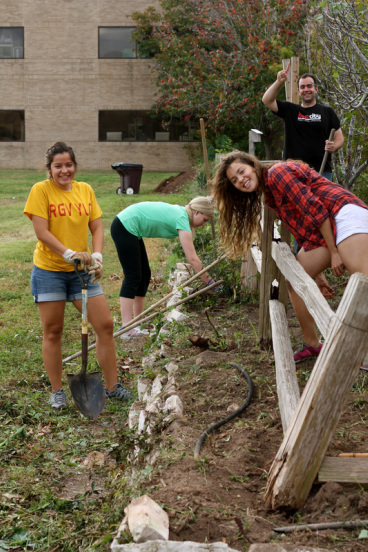 Volunteers are encouraged to put their passions and talents into practice in order to better our community. Our volunteer policies have changed! Due to the high demand for volunteer opportunities we have received over the past few semesters, we have made the decision to streamline our volunteer process so it is effective and efficient for everyone involved. Interested students must now sign-up on our calendar for specific shifts depending on what is available on a week to week basis. There will be no more open volunteer hours. To sign up for volunteer hours please follow these steps! New spots will come available each Monday by 5:00 PM for that week! There will be no Monday volunteer hours. Pick a day! Scroll down the page to find the day you want, or select a day on the calendar drop down menu. If spots are available, you will see an orange Sign-up button. Click on it! Signing up as a group or organization (6 people or more)?